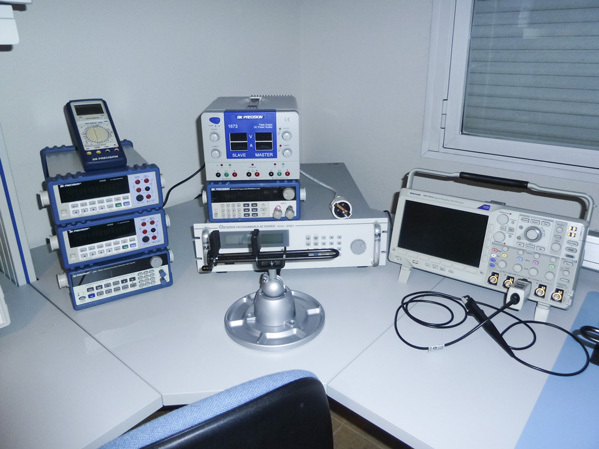 Digital oscilloscope, current and voltage probes from Tektronix. Programmable AC power supplies from Chroma. Signal generators, DMMs and thermocouples from BK Precision. 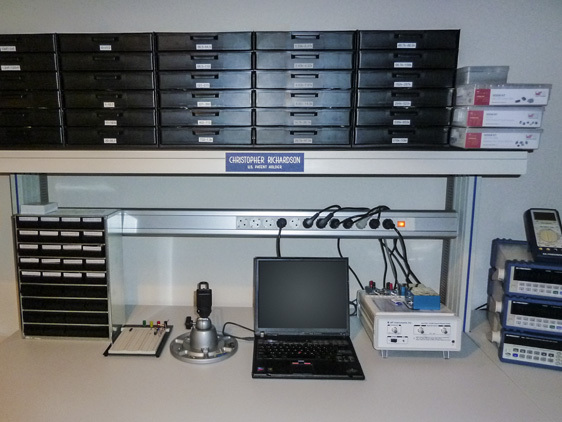 Soldering and re-work equipment from OK International and Circuit Specialists. Network and impedance analyzer from Ridley Engineering. Altium Designer 10 for schematic capture, generation of BOMs and PCB layout. Mathcad 15 for control loop and component selection. Power 4-5-6 (Ridley Engineering) for power supply simulation.